John, Paul, George, and Ringo. The Fab Four. The most famous musical singing group the world has ever known. They didn’t just define a generation, they were an epoch all by themselves. Their music might have been born in the 1960s but it continues to be an essential part of our culture today. At Feinstein’s/54 Below, we will celebrate their greatest hits, with today’s greatest Broadway and nightclub stars singing their iconic songs. From “I Want to Hold Your Hand,” to “All My Loving,” and from “Yesterday” to “While My Guitar Gently Weeps” — and from “Can’t Buy Me Love,” to “Norwegian Wood,” Eleanor Rigby,” Nowhere Man,” “We Can Work It Out,” and so many more incredible top ten hits. This isn’t just nostalgia, it’s music written with elegance and beauty, and lyrics written with keen understanding, wit, and style. They were The Beatles. Hear their music live, in concert, once again. For one night only, 54 Sings The Beatles! 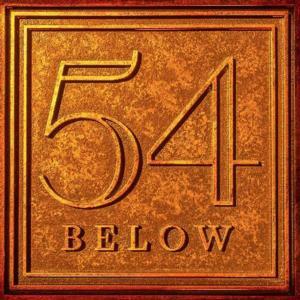 54 Sings The Beatles is created by New York impresario, Scott Siegel, who also created Broadway Jukebox, Broadway by the Year, Broadway Unplugged, etc. — a total of more than 300 major concert events that have been performed all over the world.